We need your suggestions and news / articles about chapter events, appointments, promotions, awards, scholarly achievement, academic accomplishment or any such items related to Roorkee alumni and their family members for publication in the newsletter and IIT RAANA Website. Please send these to iitraanasa@gmail.com. Open to all current students and all alumni, who graduated in or after 2008, the 6th edition of IIT-R Heritage Foundation Business Plan Competition has been announced by IIT Roorkee Heritage Foundation. Event at Global Conference honoring Dr Shamsher Prakash to include segment on "Dr Prakash: Roorkee's Pride"
After the conclusion of the Global Case Histories Conference, an event is being organized to honor Prof Shamsher Prakash on May 4, 2013 in Chicago, IL. Along with many other dignitaries, Professor Pradipta Banerji, Director of IIT Roorkee, is expected to attend the event and make a presentation during a part of the symposium titled “Dr. Prakash: Roorkee’s Pride”. Information about registration for the event is available at the conference website and can be accessed by clicking at this link (http://7icchge.mst.edu/postconferencetour/index.html). Tentative program of the event and the names of the organizing committee members for this luncheon is also at the conference site (http://7icchge.mst.edu/media/conference/icchge/documents/Post-Conf_Activity_Schedule.pdf). If you need any additional information about this event, please Anoop Verma at anoopkverma@gmail.com or Dr. Sanjeev Kumar (Chair, Professor and Distinguished Teacher, Department of Civil and Environmental Engineering, Southern Illinois University) at kumars@ce.siu.edu. As many of you are aware and involved, Houston, TX is hosting the IIT 2013 Global Conference from December 6-8, 2013. If you have already received a similar registration request, please bear with me as we are trying to ensure that we reach out everyone in absence o a single email list. UPDATE: Early bird registrations have already been filled to the limit earlier than the planned date. Discounted Summer Specials are being offered to first 750 registrants or till June 30th. Latest count shows us at 549 registrants. Please do check out http://www.youtube.com/watch?v=h5Je-3tIOag for a quick overview of the conference. Also visit www.iit2013.org for the actual registration and other details of the conference. It will be good to be able to catch up and see you all in Houston for the conference. Please do register early. For more details on PAN IIT Global Confernce 2013, please contact Ms Roopa Gir (MTech '74), Advisor OR Mr Pratish Kanani (BE Mech '87), Vice Chair. To foster better communication and relationsip building, an initiative was launched to establish a alumni directory. There are multitude of options available and volunteers are needed to identify the best solution which is secure and easy to use for all our alumni. Special help is needed from our fellow alumni to provide technical direction, implementation help and become champions for their batch, branch or geography. It does not take too much time and will help build a high value resource for all our alumni. For any questions or to engage in this critical effort, please send an email to iitraanasa@gmail.com. IIT Roorkee Entrepreneur Forum (site) is a joint initiative of IIT Roorkee Alumni Association of North America (IITRAANA), Entreprenurship Development Cell IIT Roorkee and Information Management Group IIT Roorkee. It was launched at IIT Roorkee Alumni 2012 N.A. Reunion in Chicago, as a forum that consisted of experienced Angel/Venture Capital investors. (details). As a first step to a longer-term engagement, the Forum hosted a Venture Pitchfest that was highly successful and generated a lot of excitement with nearly a dozen start-ups/prospects pitching their ideas for funding or networking or other needs. The first Global Pitch Forum will be held on April 13th 2013.
f you need any additional information about this event, please do not hesitate to contact Anoop Verma at anoopkverma@gmail.com or Dr. Sanjeev Kumar (Chair, Professor and Distinguished Teacher, Department of Civil and Environmental Engineering, Southern Illinois University) at kumars@ce.siu.edu. Greetings! 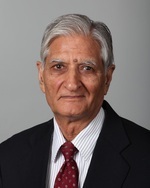 As you may know, the American Society of Civil Engineers (ASCE) has recently honored Dr. Shamsher Prakash, an alumnus of IIT Roorkee/Roorkee University, by awarding him the Distinguished Membership of the Society for his exceptional service to the profession, pioneering work on liquefaction of fine-grained soils and seismic analysis of rigid retaining walls, revolutionizing the use of geotechnical engineering case histories in professional practice and education, and authoring the first comprehensive text on soil dynamics. This is the highest recognition the Society confers on its members, second only to the title of ASCE President. Since 1852, only 615 individuals have received this recognition from ASCE. Dr. Prakash is the only IIT Roorkee alumnus who has received for this honor. Dr. Prakash had also been the head of the Civil Engineering Department at the University of Roorkee and Director of Central Building Research Institute (CBRI) at Roorkee. An event is being organized to honor him on May 4, 2013 in Chicago, IL, immediately after conclusion of the 7th Case Histories Conference. Along with many other dignitaries, Professor Pradipta Banerji, Director of IIT Roorkee, is expected to attend the event and make a presentation during a part of the symposium titled “Dr. Prakash: Roorkee’s Pride”. We encourage all Roorkee alumni and their spouses to participate in this event. Please register for the event ASAP. Please note that you register for only this event separately (i.e., $30 per person) and registration for the conference is not required to attend this event. If you need any additional information about this event, please do not hesitate to contact me or Dr. Sanjeev Kumar (Chair, Professor and Distinguished Teacher, Department of Civil and Environmental Engineering, Southern Illinois University) at kumars@ce.siu.edu. In his letter to all alumni, Director IIT Roorkee, Prof Pradipta Banerji, laid out the mission and offered his apologies for his inability to attend the Reunion in Chicago. In this letter, he shared his thoughts that he planned to discuss during this event. He also solicited feedback on his thoughts. He used this occasion to communicate to alumni his mission to increase the multi-disciplinary research being done at IIT Roorkee, and to bring in a culture of innovation at all levels of students. 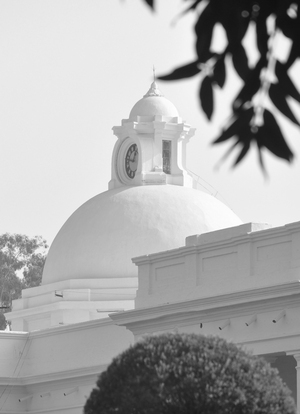 He invited all alumni to participate in the institute’s growth by interacting with their alma mater in all matters including governance structure, administrative and academic processes, bringing industries to fund research and innovation at IIT Roorkee, providing funds to attract new faculty, students and for faculty and students to attend conferences, and providing funds for new infrastructure. Thanks to your active participation, this sold out event was a wonderful success. How about the keynote speeches by our own Amit Singhal, Prof Vipin Kumar and Hersh Kumar? The insightful panels on Innovation, Entrepreneurship and Leadership!! ... And how about our 2012 graduates, Ashmeet Singh Sidhu and Aditya Singh, who joined us and talked about the Race Car Project !! ... And the stimulating debate on IIT Roorkee, Alumni Association and PAN IIT with Dean S P Gupta, Roopa Gir, Ram Kelkar (IITBHF), and Arjun Sen (PAN IIT) !! None of this would have been possible without the untiring efforts of the volunteers and in many cases their spouses and families. Arvind (B.E. '85) and his high school freshman son Anubhav Srivastava, whose utiring efforts in operations and registration made it a great experience for the attendees. These are but few shining examples of how this celebration became such a hit. Please go to the Team to see all the contributors. Thanks to many individual and corporate contributors, whose support made this event possible. Two batches, Batch of 1983 and Batch of 1988 grouped together to provide us funds at the eleventh hour, funds that were much needed for this event to come together in a professional manner. This is just an example. Please go to Sponsors to see the list of our supporters. IIT Roorkee's Dean of Alumni Affairs, Dr S P Gupta was an active participant and initiated a much needed infrastructure effort, Global Directory Initiative. This initiative will provide the much needed alumni information in a secure way to verified alumni. A team has been put together led by Dean Gupta and representatives from IIT Roorkee Alumni Association (Global at Roorkee), IIT Roorkee Alumni Association of North America and IIT Heritage Foundation, to get this launched on IITR Charter Day, Nov 25th 2012. Keep tuned for more on it. An Entrepreneur Forum that consisted of many experienced Angel/Venture Capital investors, was launched at this event. As a first step to a longer-term engagement, the Forum hosted a Venture Pitchfest that was highly successful and generated a lot of excitement with nearly a dozen start-ups/prospects pitching their ideas for funding or networking or other needs. Keep tuned for more on it. This was a great celebration of the Thomasonian spirit. Let us keep it going with many more of these for fun, personal and professional advancement. Under the Chase Community Giving program, Chase will be giving $5 Million to 196 charities ranked on the basis of votes received, ranging from $250,000 for the #1 rank to $10,000 to the last one-hundred runner’s-up. IITBHF is already in the top 100 ranked charities based on votes cast so far, and your vote can ensure that they win a share of the $5 Million. Simply click on http://goo.gl/40Xyw to vote, and if you are a Chase credit card holder, you can login on your online card portal to (legally!) vote twice. Please take a few seconds to vote and help support your fellow IITians and also build the IIT brand! IITRAANA Alumni Achievement Award Nomination Deadline Extended to Sunday, August 19, Midnight!!! Hurry up!! For limited time only, we have extended the deadline for you to nominate yourself or a colleague for IITRAANA Alumni Professional Achievement Award. Please click here for more information. A global speaker list consisting of Thomasonians, who are leaders in innovation, technology and research, adorns the event. Please visit the event site to see the details on the program and speaker profiles. Pictures - High quality scan is required - the older the better. Please send these with your annotation or story behind it. Thomsonians lingo - Think Chaapo. Common slang from everyone's time at the institute (will be edited for content). What if they tweeted - Think creatively of what famous Thomsonians and other fixtures of our campus would tweet. Think of people like Sir Gangaram, Thomason, Vipin (of Hobbies Club), Punklal (the gardner at Ravindra) and Bhatia Sahab. Only your imagination is your constraint. A note about the character tweeting with explanation of their link to Roorkee is needed. Essay - Reflections on Roorkee. 400 words or fewer. Please send these to Sanjiv Sinha (sanjivtx@gmail.com) by Sunday August 19th. It my pleasure to invite you to the IIT Roorkee North America Alumni Meet 2012 to be held in Chicago on Sep 1st and 2nd. I hope you will be able to join us with your family for an event that promises to be exciting, entertaining and educational. I am sure, like me, you feel indebted to the foundation that our Roorkee has given to all of us. This meet is our opportunity to give back and to reap the benefits of a rapidly growing alumni community of successful entrepreneurs, corporate leaders, academicians, researchers, philanthropists and thought leaders from all over the world. This is also a unique opportunity to engage with our new and dynamic Director, Prof. Pradipta Banerji, who is determined to take IIT Roorkee to its rightful place among the leading universities in the world. With his passion in recognizing the role of alumni in achieving this goal, let us join hands in the biggest ever meet of alumni here in shapring the destiny of this Institution. (c) 2012 IIT Roorkee Alumni Association of N.A. From my first day on the Roorkee campus, I knew that Roorkee was not just about changing myself but a much broader change. Shared by many of us is the excitement and pride of walking the same halls as the ones recognized as leaders not just in India but in countries across continents. As individuals we achieve success through our personal commitment and hard work. Now, we have an opportunity to come together and build an ecosystem where we combine experience with energy, resources with enthusiasm, maturity with risk to exceed our wildest expectations. I am excited by the possibilities and in my heart, I know we can do it through everyone's continued support, collaboration and great ideas. To achieve this, one of the objectives for your Executive Committee ("EC") is to "setup open and frequent communication forums among chapters for alumni activities". Details.. However, due to structural challenges, we fell short of meeting this goal. We were remiss in our commitment to be transparent, keep you updated and incorporate your feedback in refining our direction. We were called out on this and we are committed to correcting this. To ensure that we provide periodic updates, we are establishing this Newsletter. It may remind you of "Mutifaria", the newsletter published by the alumni association in the early eightees and we have a similar goal to regularly share variety of content, like chapter events, news highlights, achievements, events. With focus on two-way communication, we are also instituting regular communication forums with other alumni bodies - Chapter Presidents and PAN IIT to make sure that we are not only promoting higher synergies across alumni of different geographies but also setting up a structure for continued growth. Your continued feedback and guidance is the only way for us to be successful in serving you, and we look forward to it. 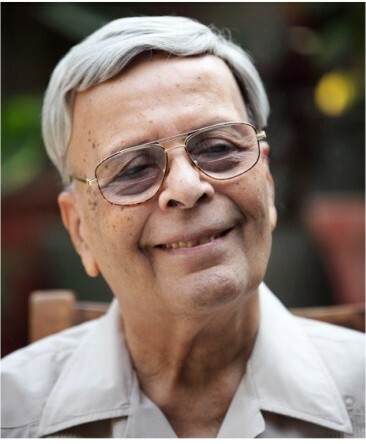 Dr Narain passed away on January 5th, 2012. He took over the Charge as Vice Chancellor of University of Roorkee 1977-1982. Dr. Narain was a true Thomsonian having passed BE(Civil) in 1948, the first batch as University of Roorkee. In 1985 he was conferred Degree of Doctor of Philosophy (Hon. Causa) by The University of Roorkee and the honor of Distinguished Alumnus Award was conferred on him by IIT Roorkee in 2007. A memorial service will be held on Sat, March 3rd, to include Roorkee alumni, faculty, and family members sharing memories of Dr Narain. Our Chairman Board of Governors, Padma Bhushan Shri Analjit Singh took a very welcome initiative of hosting a reception party in honour of Shri Mangu Singh (1979 Batch Alumnus) who has recently taken over as MD, Delhi Metro Raill Corporation from the legendary Shri E. Sreedharan. Read More..
Congratulations to Mr Amit Singhal, BE Roorkee, Google Fellow, on yet another honor – election to National Association of Engineers, which is among the highest professional distinctions accorded to an engineer. Read More..
Mr Sumit Chandwani (BE'89 IE) Mr. Sumit Chandwani is a stalwart in the Private Equity industry in India.Sumit Chandwani BE ’89 Industrial Engineering, was till recently an Executive Director at ICICI Ventures. 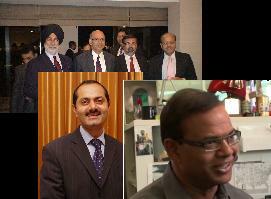 Read More..
IITR North America is organizing the Pan IIT Roorkee Alumni reunion in Chicago on August 11th & 12th 2012. We hope a large collection of alumni spanning batches, departments and regional chapters will participate and make this a grand success. It will be a great time to catch up with old friends, make new ones and a fun-time for all with family. More details will be forthcoming shortly. Please contact Anoop Verma, Sanjay Keswani, Imran Mohammad, or Deepak Goyal. Horizon Fusion Band, a motley crew of talented musicians, who have feverishly pursued music while being a doctor or engineer or a professional, brings a wide diversity of classic rock from Pink Floyd to Dire Straits, Clapton to Santana. Read More..
Dear Roorkee friends, You, your family and friends are invited to attend a Get Together to enjoy light-hearted fun with friends, on Saturday, March 31 at 3:00 PM. Read More..
IIT RAANA Formal Structure: IIT RAANA Executive Committee ("EC") is making good progress in establishing a formal legal structure with a Board of Directors, Advisors, and a core team of leaders to align with our long term goals. It is leveraging lessons from other leading organizations of similar nature. With the legal structure in place, the process is under way to build short term and long terms assets to support our organizational goals. Thanks to Roorkee Midwest Chapter, over $5,000 have been funded as seed money. Formal controls and structure, which are consistent with an organization like this, are being instituted to ensure adequate disclosure and provisioning. Call for IIT RAANA Board Member Nominations: Five positions for members of the board are reserved to ensure representation across all batches of graduation. The current groups are 1987-91, 1992-96, 1997-2001, 2002-06, 2007-11. Please send your nominations to any of the EC members or through your Chapter Presidents. Read More.. Induction of non-Indian alumni in IIT Roorkee Alumni Association Executive Committee: Based on the discussions with Anoop Verma (President IIT RAANA) on the need for the alumni association to have global considerations, Prof Banerji (Director IIT Roorkee) asked him to form an interim board of non-Indian alumni. This board will work with the alumni association to incorporate the changes necessary for it to have a global nature. This board consists of Mr Vipin Gaindhar (Australia), Col Ham Bahadur Karki (Nepal), Mr Sanjay Keswani (US), Mr. Rakesh Pande, Europe, Mr Vivek Varma (US), and Mr Punit Varmani (Canada).